Comments Off on Aircraft Title Insurance – Worth the Investment? Most people are familiar with title insurance from buying or selling a home or commercial property. Unlike real estate lenders, most aircraft lenders don’t require title insurance, so airplane buyers rarely even know about it, let alone purchase it. That can be a big mistake. While more common for turboprop aircraft like the King Air or Cheyenne, title insurance is much less common for jet aircraft. In fact, only about five percent of turbine aircraft are covered by title insurance. The cost of title insurance is based on the aircraft’s “book value.” Ten percent of the cost of a jet can be substantially more than ten percent of the cost of a turboprop aircraft, particularly an older one. Jets tend to have a shorter list of previous owners. Turboprops, the workhorses of the aviation world, can have very long service lives and a long string of owners. As the economy has changed, however, it’s become more common for even high-end jets to have longer service lives and a longer list of previous owners. So in some cases, title insurance is becoming a more attractive option. Many of the reputable aircraft sellers who provide great support for buyers will make no guarantee of clear ownership outside the “term” of their own ownership. They may not be aware of liens or complications from previous owners. Consider this example, a jet that had been owned by several owners including Wells Fargo, a finance investor in the UK, CVS, and Office Depot. The new buyer might discover that a tax lien had been placed on the aircraft in the UK. This out-of-country lien would not have been filed with the FAA, and therefore escaped notice through several transactions in the United States. However unlikely this scenario might be, the probabilities are of little comfort when they affect you directly! Note: Title Insurance Is Not Obtainable for Every Aircraft. DJI recently had a client consider a Citation XLS+ that had a previous owner located in Mexico. The title insurance company did not consider it an acceptable risk and declined to insure it. Our client declined to purchase the airplane. Does the aircraft have multiple previous owners? Has it ever been registered outside the U.S? Are any of the previous owners no longer in existence, not public, or have a history of bankruptcy or other issues? Do you have any reason to suspect tax or mechanic liens? Each “yes” answer makes title insurance a more important consideration in the transaction. If you’ve made a decision that aviation title insurance is required, who should purchase the policy? Technically, it does not matter. 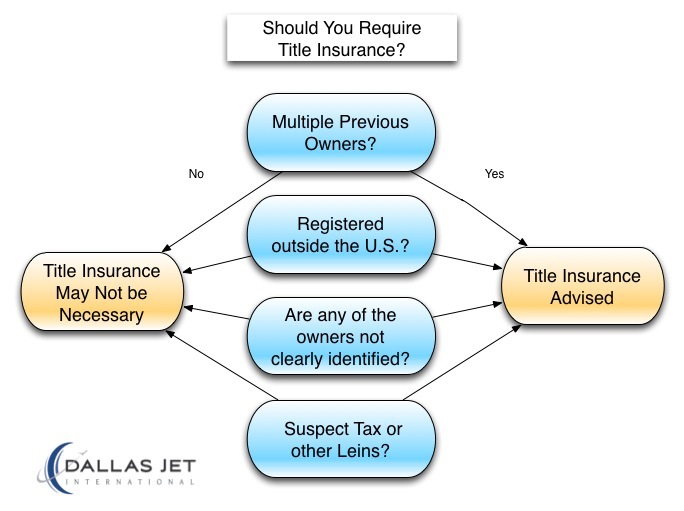 Title insurance covers the aircraft, not any particular owner. Any affected party can use the aircraft title insurance policy binder number and the insurance would cover any claim specified by the terms of the policy. That said, if there is a lender involved in the transaction, the buyer is typically required to pay for title insurance. Of course, title insurance is only one of a great many factors in a successful aircraft transaction. DJI’s detailed process, experience and relationships are key to ensuring a good experience with no surprises for our clients. 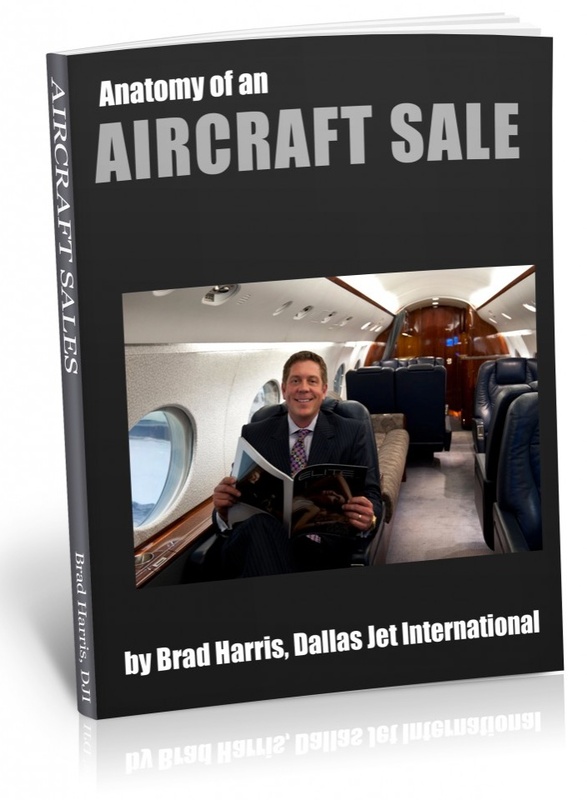 You are currently browsing the Aircraft Sales Insights blog archives for May, 2014.